LAS VEGAS — Hall of Fame coach Jerry Tarkanian, who built a basketball dynasty at UNLV but was defined more by his decades-long battle with the NCAA, died Wednesday after several years of health issues. He was 84. Tarkanian had been hospitalized since Monday at Valley Hospital Medical Center for a respiratory ailment and infection. He had been rushed to the hospital by ambulance after his blood oxygen fell to dangerous levels. He recruited players other coaches often wouldn’t touch, building teams with junior college transfers and kids from checkered backgrounds. 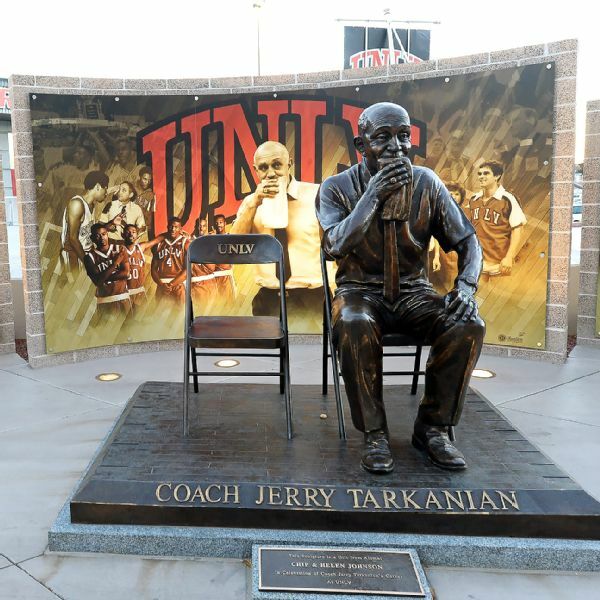 His teams at UNLV were national powerhouses almost every year, yet Tarkanian never seemed to get his due when the discussion turned to the all-time coaching greats. Jerry Tarkanian, who coached for 31 seasons, has the seventh-highest winning percentage all-time among Division I men’s basketball coaches. He went 509-105 in 19 seasons with the Runnin’ Rebels before finally being forced out by the university after a picture was published in the Las Vegas Review-Journal showing some of his players in a hot tub with a convicted game fixer. UNLV was already on probation at the time, just two years after winning the national title and a year after the Runnin’ Rebels went undefeated into the Final Four before being upset in the semifinals by the same Duke team they beat by 30 points for the championship the year before. Tarkanian’s style evolved as he was able to recruit better players, and the Rebels were all about running and shooting. But the core of his high-flying offenses was great defense, and Tarkanian drilled them constantly in practice to commit to nonstop pressure and create turnovers. That was also the way Tarkanian approached his dealings with the NCAA. His program at Long Beach State was put on probation after he left for UNLV and it wasn’t long before UNLV was also on probation and the NCAA was demanding Tarkanian be suspended for two years. But he sued to overturn the penalty and remained as head coach, though NCAA investigators became a common sight in Las Vegas over the years. Ethan Miller/Getty Images Jerry Tarkanian’s success at UNLV was almost as legendary as his run-ins with the NCAA. By the time he moved to Las Vegas in 1973, Tarkanian was considered one of the rising coaching stars in the country. He quickly built a name for what was then a small school and by his fourth season at UNLV he had the Runnin’ Rebels in the Final Four, where they lost 84-83 to North Carolina. It would be another decade before UNLV made the Final Four again, and the Runnin’ Rebels were in three in five years, including the national championship in 1990.